Cape Town’s landscape is adorned with rolling hills and towering mountain peaks, draped with lush greenery and picturesque views and sceneries. 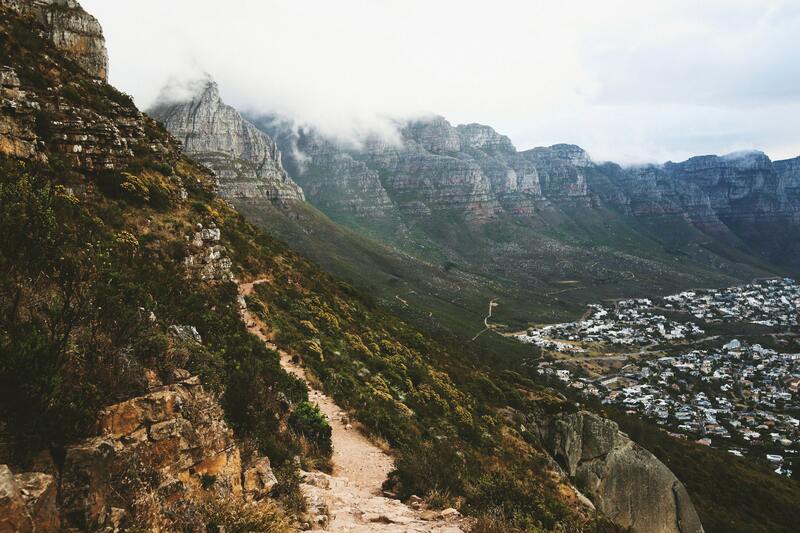 The mountain ranges that surround the Cape offer a multitude of incredible hikes and adventures for both the mountaineers and the casual hiker. 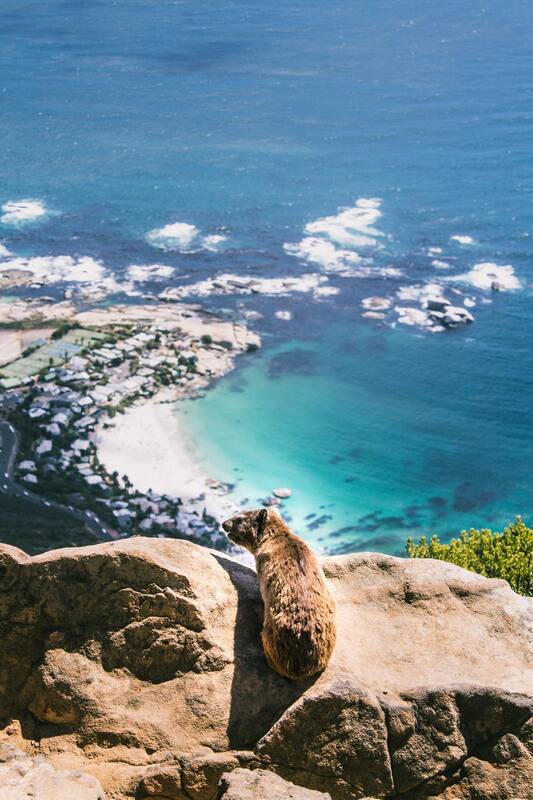 First on any itinerary is the trek to the top of Table Mountain. There’s multiple ways to make your journey to the top with varying difficulty. The ‘easiest’ hike to the summit is via the direct zig zagging stairs that make up the Platteklip Trail, accessed from the same road that goes past the cable car. The route offers some coverage, and depending on fitness level can take 1.5 to 3 hours to complete. From there you can head back down the same path, or take the cable car down. Other longer treks up to Table Mountain include Constantia Nek, which is made of a relatively easy to traverse gravel road that zig zags up to the top, where hikers take the Brindle Jeep Track along the top, past the reservoirs and the Overseers cottage to the gardens and Cable car. If you want to take the Cable car down you’ll need to organise a pickup to get you back to Constantia. The next hike to the top, which is a great hike in itself without continuing to the Cable Car, is via the Kirstenbosch Gardens Skeleton Gorge. Hiking through lush green forests beside waterfalls and a stream, climbing wooden steps and ladders, Skeleton gorge is tough but rewarding, taking 3 hours to reach the reservoir at the top with its sandy beach. Hikers can choose to continue to the cable car or head back down the gorge. For more experienced hikers, there are two difficult hikes that prove both adventurous and exhilarating. 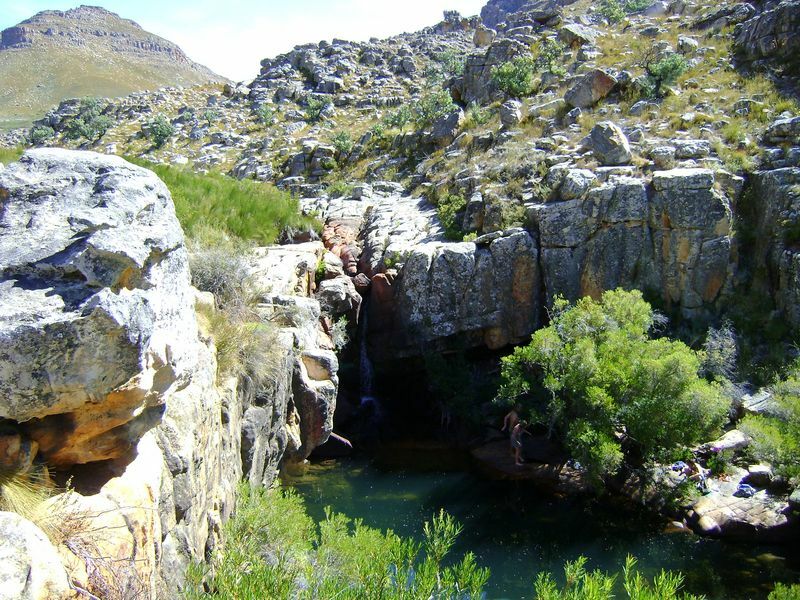 Suicide Gorge offers hikers a kloofing experience with rock climbing and spectacular leaps off ledges into pools below. The water is cold and if you start the hike you are guaranteed to have to get wet to finish it, and there’s no turning back! Some jumps are as high as 20 meters! This hike is only open in the Spring and Summer, when the water isn’t too freezing or the water levels are too low. If you’re after stunning pools to swim in after an easier hike, Crystal Pools in the Kogelberg Biosphere Reserve is a relatively easy beginner hike that heads downward then up the valley to stunning crystal clear pools, with impressive rock ledges to leap from into the water below. The hike offers amazing views and scenery along the way. Despite how clean the pools look, the water is not safe to drink, so be sure to bring your own water. Hikers need to prebook their hike at Helderberg Nature Reserve in Somerset West. Another relatively safe hike for beginners is taking the Corridor Ravine to Tranquility Cracks. The ravine offers very little shade, so it’s recommended to go early in the morning or during a cloudy winter day. Once you’ve made it to the top head towards the cable car, looking out for an easy to miss trail. It will lead you to the cracks, where you can wander through alleys and mazes of rock and yellowwood trees, in the safety of cool shade. 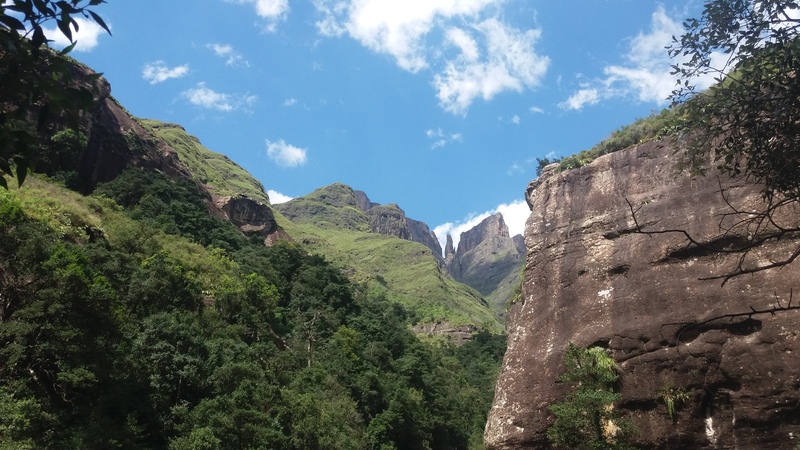 If you have kids that you want to bring along, a good family hike for kids with moderate hiking skill is Krom Rivier Hike, just past the Huguenot Tunnel. It’s a moderate difficulty hike along the rocky river, with multiple pools along the way if the kids get tired or want lunch, but the real gems are at the end. Two large, deep pools can be found at the end, fed by roaring waterfalls. The one at the very top is a largest, and requires using a chain to reach it. Children and adults alike love jumping off the rocks into the refreshing water and spotting fish. Bare in mind you need to book a pass to take this hike from the reserve offices. One of the most popular moderate hikes in Cape Town is Lions Head, which can even be done at night during the Full moon. The path is very well defined after years of hundreds of feet making the climb, and most days there are many other hikers on the trail. If you’re looking for something peaceful or isolated, you may not enjoy how busy it can get. But the views at the top are great, and that combined with it’s relatively easy accent makes for a popular hike. For those looking for something less touristy, and more difficult, Devil’s Peak promises a quiet, challenging hike. With two different trails to take to reach the summit, one from Rhodes Memorial and another from Tafelberg Road. It gets quite windy near the top, so hikers are advised to bring windbreakers even on a sunny day. The incline is moderate at the base, but gets rather steep near the top, with some rock climbing or traversing ledges particularly on the Rhodes side. To the South near Muizenberg are the Silvermine Hikes. With two trails on either side of the road, one heads up into the mountain over Muizenberg, reaching its summit before going back down the other side and back around to the parking lot. 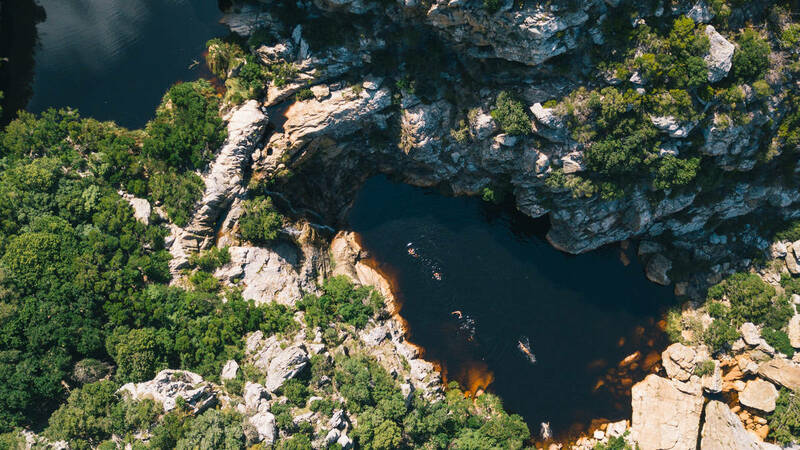 The other goes out to the Silvermine reservoir, where hikers can choose to swim there or keep heading on towards the Elephant Eye Cave and the Constantia summit. The hike is gradual, making it relatively easy even for the unfit, and dogs are welcome in the park. There is a conservation fee upon entry. When hiking in the Cape it’s important to always travel in groups, and let others know what time you intend to come back from your hike. Keep your phone and the Table Mountain Rescue number on hand in case of emergency, and if you’re concerned about getting lost, consider bringing a hiking guide along. Always bring enough water to keep hydrated, as well as a warm jacket for the summits and sunblock for the trek up. And always wear the correct hiking shoes for ample grip. Stick to designated paths during hikes, and don’t wonder. When you have the essentials, enjoy the tranquil beauty and nature of the Cape and all the trails it has to offer.